Amber color. Aromas of ripe peaches and apricots, tropical tea, cherry granola, grand marnier, and hazelnut with a satiny, vibrant, fruity medium-to-full body and an even, interesting, medium-long soy glazed almonds, zucchini bread, caponata with raisins, bran muffin, and grass and menthol finish. A robust Speyside single malt that will be an excellent standby to keep in-house. Bottom Line: A robust Speyside single malt that will be an excellent standby to keep in-house. Speyside refers whisky made by the 50+ distilleries near the river Spey in the Scottish highlands. These distilleries are noted for their use of refilled, ex-Sherry casks in the maturation of their whiskies. 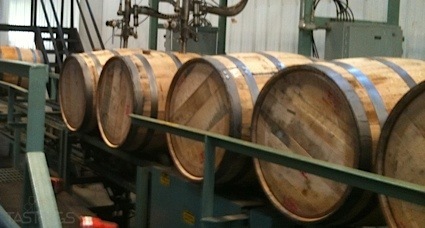 The Sherry casks imparts telltale fruit and nut tones to the final whisky. 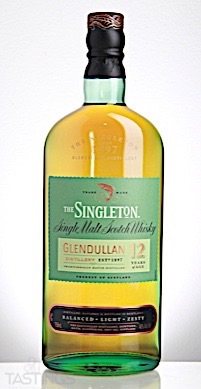 THE SINGLETON 12 Year Old Single Malt Scotch Whisky rating was calculated by tastings.com to be 90 points out of 100 on 7/30/2018. Please note that MSRP may have changed since the date of our review.